There is a popular saying (and I do not know which country it originated from), that says, “Sticks and stones may break my bones, but names will never harm me!” Well, I’m sorry my friend I beg to differ – names do harm us, they destroy our confidence, our self-worth, our personality, our character, our wisdom, our integrity. Don’t listen to the world’s value system; establish your worth according to how God values you. God demonstrated your importance to Him in two special ways. First, He created you in His own image, which basically means you are clever, intelligent, and have great creative abilities. Secondly, had you been the only man, the only woman, the only child (boy or girl), that ever lived on this earth; God still would have sent Jesus Christ, His Son to save us. That makes you child of God someone special – a diamond – priceless! These two things should tell us all that we are not nobodies but some bodies – we are ‘BE-ABOUTS’ in God’s kingdom! DANIELE LUCIANO MOSKAL, aka ‘Badger’of the Bolts Crew (L.T.F.C) meets fellow brother, friend, and bond-servant in Christ, RENTON BAKER, aka ‘The Bishop’ of the ‘Herd’ (Arsenal) at Pinner Baptist Church, 2016. Filmed entirely in Luton Town by the award winning ‘Tandem TV’ Christian company from Hemel Hempstead, Herts, England in 2001. This is the unique and remarkable life-changing testimony of Daniele Luciano Moskal, aka, ‘Badger’ of the ‘BOLTS-Crew’ of Luton Town Football Club, in Bedfordshire, Luton, England – an ex-football hooligan; gang leader; martial arts instructor; professional fashion model; hairdresser, night-club supervisor, award-winning photo-journalist, songwriter, and ex-Paratrooper who after 25 years of serious violence and crime following his beloved football Club all over the United Kingdom, and fighting rival hooligan firms in the 70’s and 80’s. Daniele Luciano Moskal by God’s grace is an ordained Evangelist and Pastor who is now affectionately known as ‘The Pen Of A Ready Writer’, or John3-34 Evangelist. He is the prolific writer and ‘ghost-writer’ of over 35 books (non-fiction, fiction, children’s books), and other titles all in print. Renton Baker led a double life. A loving, protective father and husband, he also terrorised opposing soccer fans on the terraces. That was until he faced a dramatic challenge at a church funeral: unless his heart was softened, he was on a collision course with hell. From then on there was a new quest to find real peace. Within days Renton bared his soul to a church minister. “I talked to him for four hours about everything I had ever done; as I spoke I felt clean.” That first encounter with God began a life-changing experience that has taken him across the globe to share his faith. “I learnt that my acts of violence were cowardly and love was the way forward – and the real tough guys were those who stood up for their belief and love for Jesus Christ,” says Renton. His life spiralled out of control when his father, an ex-boxer and soldier, died when he was just 14. It made him bitter and angry. “Once I beat up a cousin when he told me he had a great day fishing with his dad.” Despite the violence as a football hooligan, using baseball bats, knuckle-dusters and ammonia to temporarily blind his victims, he would be concerned for his mother’s welfare as a widow. At 20 Renton was married, and within four years he was the father of three sons. His violence outside the home escalated, causing mental and physical harm to many of his victims. Renton began a life-changing path, but a year later his youngest son asked him to help retrieve £2,000 inheritance money that he had lent to a cocaine addict. For a brief moment Renton’s rage spilled. The police were already at the scene when he was armed with a knife to fight for his son’s rights. Renton was charged with the attempted murder of a policeman and his intended victim. “The charges were built up on some very dangerous and false statements and they were eventually dropped to lesser charges at the beginning of my crown court trial,” recalls Renton. Disappointment at his failure became a divine re-appointment. Sitting in a prison cell immediately after the event, he promised God he would never do anything like it again. During the court case the judge ordered a two-year suspended prison sentence rather than send him to jail. “God intervened. I witnessed the power of answered prayer. I should never have had bail, let alone be given my freedom. “God is good all the time – full of grace and mercy. Nothing we can do will stop God loving us,” says Renton whose friend committed his life to God three days after the astonishing court ruling. Today, Renton is a man with a huge heart for God. Building site colleagues refer to him as “the bishop” as he unashamedly shares his faith story. He also takes the platform for his Saviour at prisons, school and men’s meetings across the UK and travels all over the world as an evangelist for Avanti Ministries and Tough Talk. February 14th is a day when love is in the air for spouses and partners worldwide, who sometimes express their love by buying a greeting card or a special gift for one another. This day is called St Valentine’s Day. So what is true love and where does it come from? This book was specifically written to help and teach ‘wannabe’ wise leaders; life coaches; mentors; teachers; motivational speakers, and entrepreneurs what they need to adopt or learn about when wanting to become a potential leader (‘a shepherd’), a (“person of influence”) of people using two great past leaders, Abraham Lincoln and Winston Churchill, as examples of what skills are required to become a successful leader in the 21st Century. 2. To enable you to devise key steps to achieve your desired goals. 3. To enable you to develop your communication skills when writing a good CV or a good covering letter (application form), and preparing for interviews. This book has been specifically written and designed for you the school-leaver; the graduate; the unemployed person; the person who has just been released from prison or the mature older person who thinks they can never get a good job. 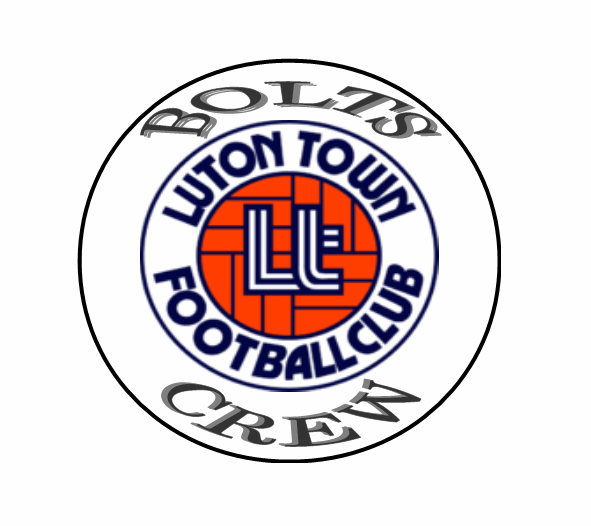 The ‘‘BOLTS CREW’’ of the 1970’s and 1980’s were Luton Town’s first active football hooligan firm of all ethnic backgrounds and age groups. 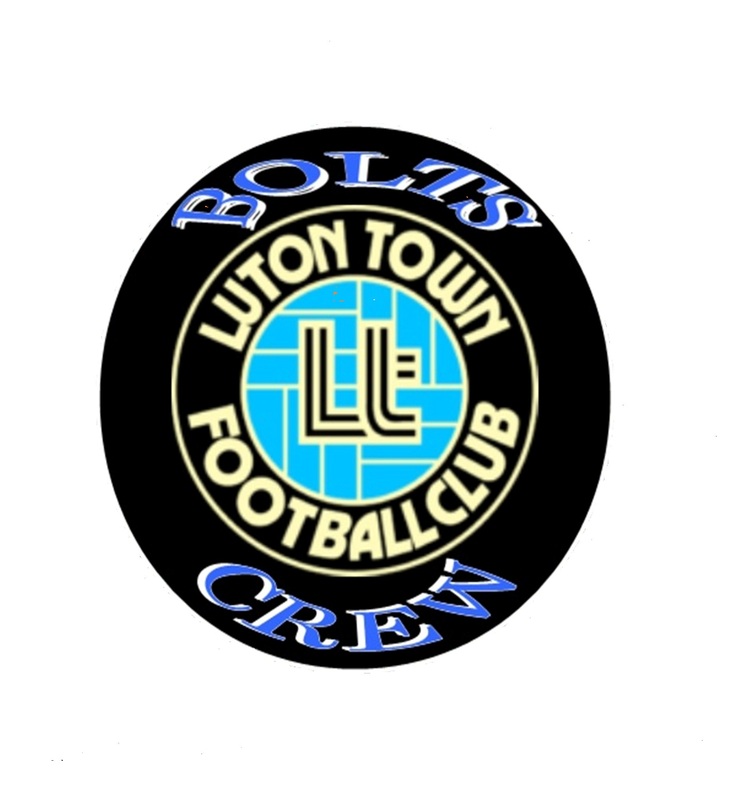 ‘‘BOLTS CREW’’, aka – ‘Boys Of Luton Town’. Before the name of the BOLTS CREW came into existence, there were many of the older skinhead boys who followed Luton Town F.C who wanted to be called; The “DJB” – the ‘Donkey Jacket Brigade’. This was because one Luton Town home game in the 1970’s, the majority of Luton hooligan skinhead boys that where housed in the whole of the Oak Road End of Kenilworth Road, started to wear Donkey Jackets and Doc Marten laced-up boots. Many of the original BOLTS CREW from as early as the 1970’s and 1980’s received banning orders or prison sentences, and a new hooligan firm of smart dressed men in casual designer wear was formed called the: “MIGs” – Men in Gear. The BOLTS CREW and the MIGs had fierce rivalries with firms that still continued into the 21st Century. Listed here are some of the main football clubs and their firms that were involved in serious fighting with Luton’s BOLTS CREW & MIGs hooligan firms at away games and home games since the 1970’s. They were from Watford; QPR; Millwall; Stoke City; Nottingham Forest; Leicester City; Birmingham City; Leeds; Cardiff; Portsmouth; Wolves; W.B.A; Wrexham, Norwich; Ipswich; Chelsea; Crystal Palace; Tottenham; Arsenal; West Ham; Aston Villa; Everton; Manchester United & Manchester City; Norwich; Coventry; Cambridge, Oxford, Mansfield, Swansea, Charlton, Reading, Plymouth, Exeter, Bristol Rovers & Bristol City, Barnsley, Shrewsbury, Lincoln City, Hull City, Bradford, Bury, Bolton, Newcastle & Sunderland, Carlisle, and many other clubs in England. The events on the 13th of March 1985, when Millwall visited Kenilworth Road in the evening to play Luton Town in an F.A. Cup quarter-final match, whilst not instigated by the BOLTS CREW or the MIGs did have an effect on future matches between the clubs. The hooligan elements among Millwall’s fans, ‘THE BUSHWACKERS’ and ‘THE TREATMENT’ started to riot, and invaded the pitch to get to where most of the BOLTS CREW & MIGs members were housed on that night. ‘Ginger Bob’ and the Millwall firms and their hooligans had infiltrated the famous ‘Maple Road End’, and a massive fight broke out before the game kicked off. The game was halted after 14 minutes into the game, and the referee took both teams off the field of play for 25 minutes, as fans poured on to the pitch and fighting kicked off all over the ground. After the referee blew his final whistle to end the game, the pitch was invaded again with over 700 seats ripped out of the stands and thrown at the police, and the surrounding streets saw and witnessed much more sporadic violence. The violence that ensued that night resulted on a ban for all away fans by Luton Town F.C, which also in turn led to Luton Town F.C getting an expulsion from the League Cup. The ban was finally lifted by the club in 1990/91 season. A few years later Luton Town F.C celebrated a famous 3-2 League Cup victory over (what many people and pundits said was the best Arsenal team ever assembled), at the old Wembley in the Littlewoods Cup on the 24th April 1988. This is what one football hooligan called ‘Wurzel’ wrote on one of Chelsea’s football forums about the top best hooligan firms in the country: “One of the most underrated firms of the 70’s and 80’s were the ‘BOLTS CREW’, and later the ‘MIGs’ of Luton Town F.C – on their day they were certainly up there with the best of them. They may not have had the numbers of the big city firms but they had some tough and loyal guys from all ethnic backgrounds who would show up and fight. One of the original Bolts Crew members I can remember getting a nasty hooligan reputation was an ex-para called ‘Badger’ , who is I believe is now a born-again Christian, and a Minister of the Gospel’’.